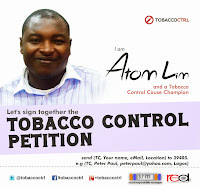 More than 600,000 who die annually from tobacco related diseases are non-smokers exposed to second-hand smoke. 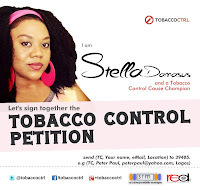 The world’s leading preventable cause of death claiming the lives of 6 million people each is tobacco use which is a slow, but more often than not, sure killer. 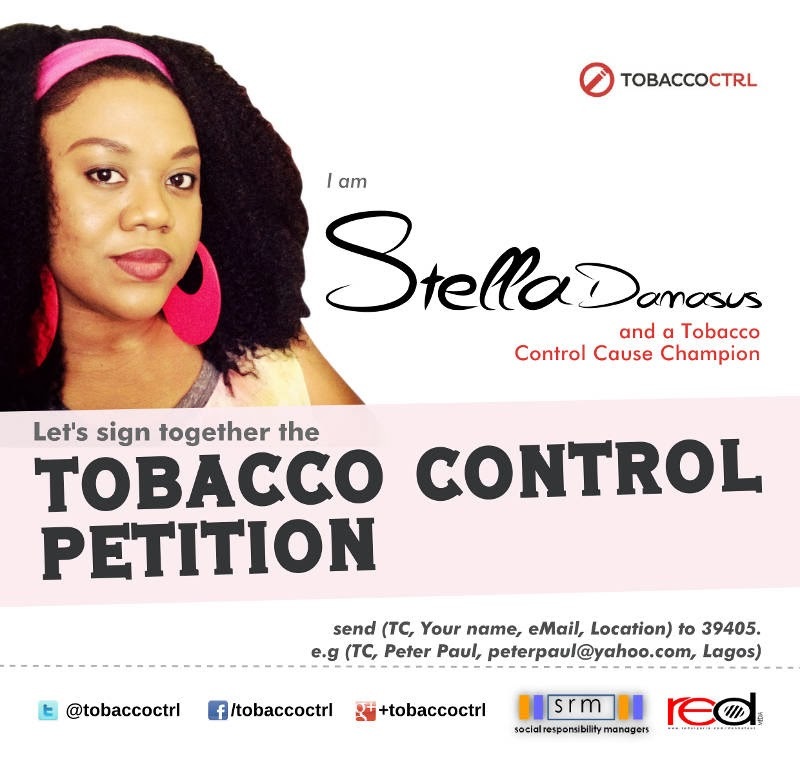 Several efforts have been made since 2012 in this current administration particularly by the President to get a Tobacco Control bill passed. 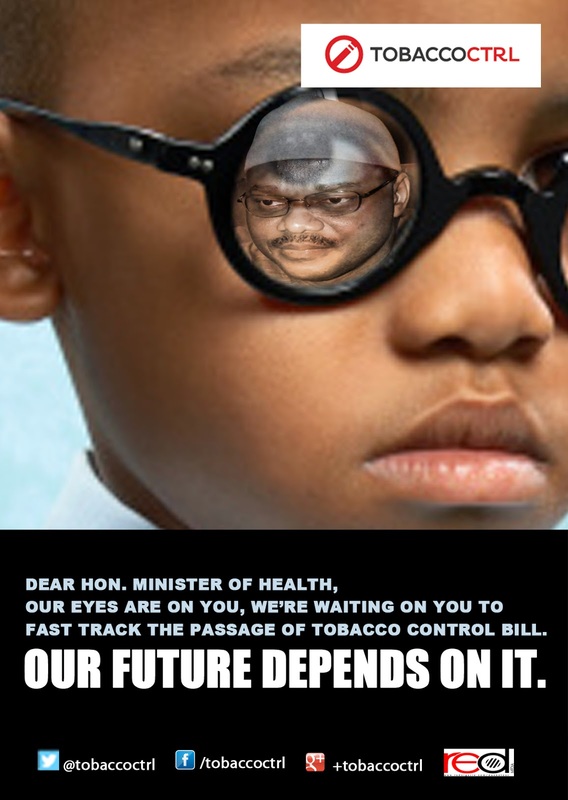 Most significant is the setup of a three-man ministerial team led by the Hon. Minister of Health and charged with the task of drafting an executive bill. 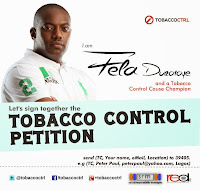 However, despite public utterances in May & July 2013 both by the President and the Hon. 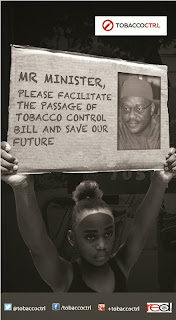 Minister of Health, Prof. Onyebuchi Chukwu assuring on the importance of making Nigeria smoke-free and reducing the smoking prevalence in the country, there is still no law to this effect. 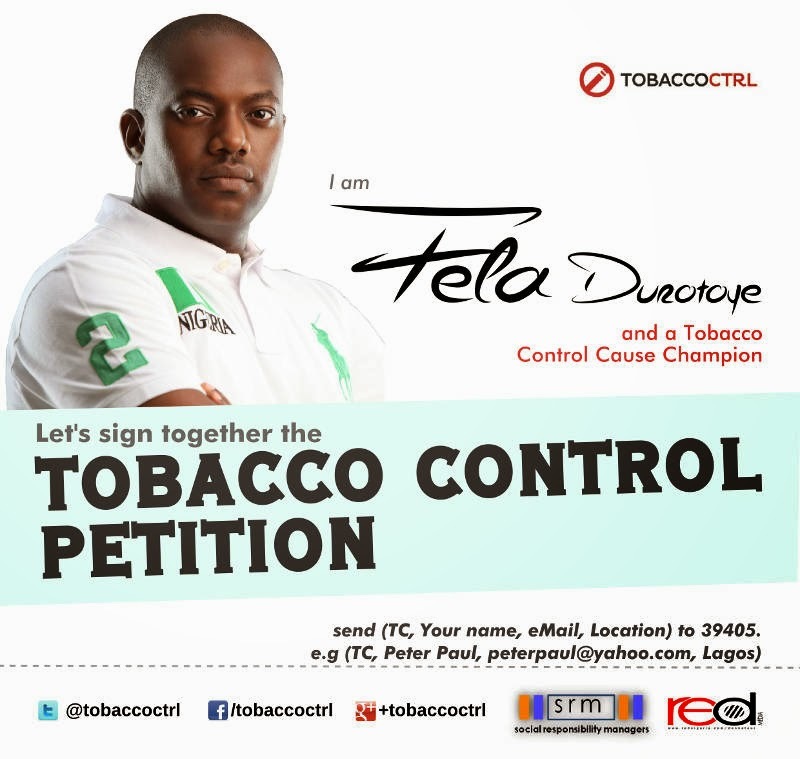 Tobacco Control Nigeria is a policy change and public health campaign project using Social Media to advance tobacco control and support the passage of a comprehensive domestic Tobacco Control (TC) law compliant with the World Health Organization’s Framework Convention on Tobacco Control (FCTC), to which Nigeria is a signatory. 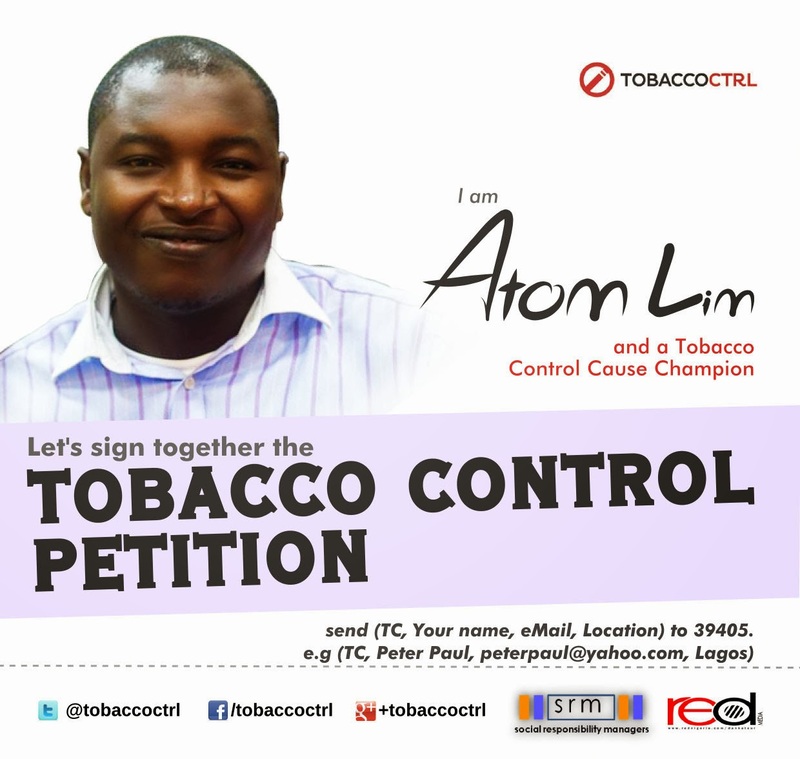 For more information about this campaign project, please visit Website: http://tobaccoctrl.ng/ Facebook: www.facebook.com/TobaccoCtrl Twitter: www.twitter.com/TobaccoCtrl Google Plus: https://plus.google.com/+TobaccoctrlNg 2go: Tobaccoctrl If you would like more information about the Tobacco Control Nigeria campaign; please send an email to info@tobaccoctrl.ng or visit www.tobaccoctrl.ng .